taking advantage of locality benefits and experience in “MINO” wares. 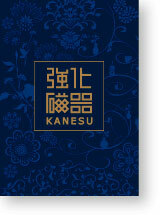 Kanesu offers project proposals and wholesale services of professional use Janpanese, Chinese and Western tablewares for various restaurants such as ramen, sushi, izakaya(Japanese style dinning bar) and so on, restaurant chains, hotels, inns and other facilities. Kanesu proposes and sells reinforced porcelain for corporate canteens, hospitals, welfare facilities, hotels and restaurant chains.Reinforced porcelain benefits in reducing running cost by reducing a risk of breakage and strengthening safety and sanitary. Kanesu offers putting the name and logo, changing the colors and designs and also fully custom-made depending on customers’ budget. UTSUWA is comprehensive catalog of tableware business covering Japanese traditional, general Japanese, Chinese, Asian and western tablewares. 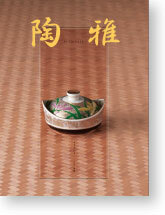 While UTSUWA is comprehensive catalog, it features rich line of Western tablewares and small articles series and Chinese small articles.Also, UTSUWA shows many ramen bowls. UTSUWA makes possible to prepare full range of tablewares for restaurants and ramen shops. THE CHUKA shows items for Ramen and Chinese food only.Especially for Ramen bowls, THE CHUKA, of course, shows good assortment of standard products as well as unique products that is hardly to be seen in other catalogs.THE CHUKA is for Ramen shops chasing for magnetic personalities. TOUGA is comprehensive catalog of tableware business covering Japanese traditional, general Japanese, Chinese, Asian and western tablewares. TOUGA widely shows tableware, pottery and porcelain by mainly “MINO” ware and “ARITA”,“BANKO”,”SHIGARAKI”,”TOKONAME” as well as import products. 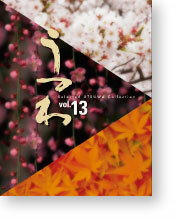 TOUGA shows lacquerware, glass, wooden products and kitchen equipments too. 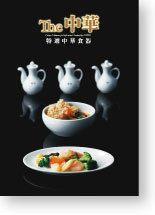 TOUGA makes possible to prepare full range of tablewares for various restaurants, inns, hotels and other facilities.